Product comes ready to use, just open from the package and install. Quick and easy to fight against moisture related problems! 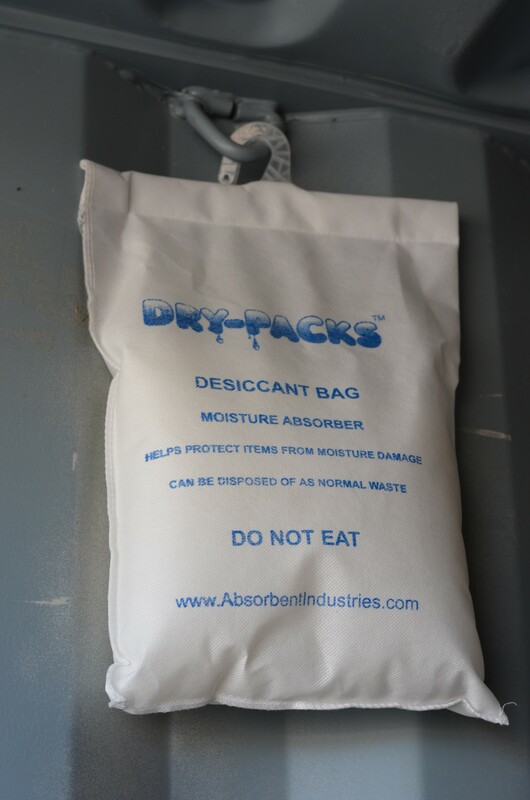 These bags are made of sewn Polyester non-woven with strong plastic hook that can be easily be hung from the inside of container, closet, garage, basement, etc. Protect your Cargo against "Container Rain" and other moisture problems during shipment including Mildew, Mold, and Corrosion. About 10 bags per 20' Container and 20 bags per 40' container. Usage can vary depending on your application, conditions, length of storage, etc. Shipping Containers, Storage Containers, Mini-Storage Units, Offices, Closets, Basements, Warehouse, Bathrooms, Ceilings, etc.